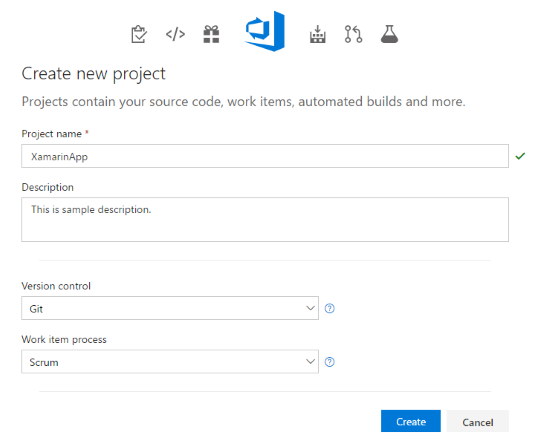 Application development – when you hear this you imagine some IDE where you can write code and build your app. Nowadays it looks different (and should look like this). 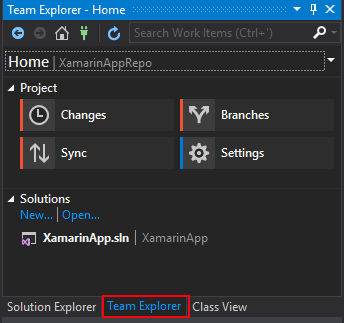 When starting mobile app project, not only with Xamarin, you have to do some analysis, development plan, design research. There is one more important thing – have good tools to help maintain development. That is why I decided to write this post. 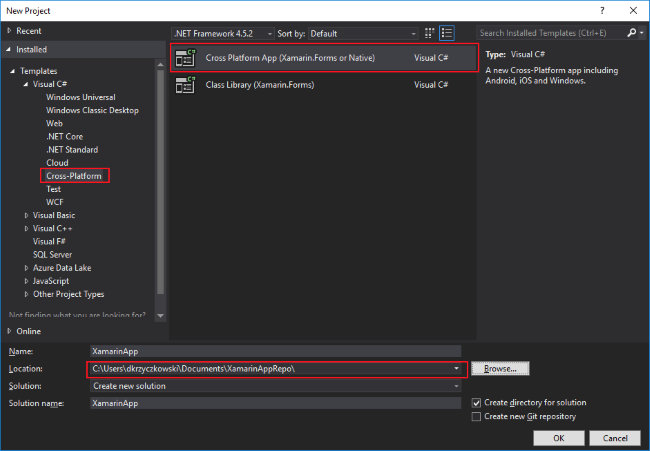 I would like to show you how to plan your project and use two great tools to make it easier – Visual Studio Team Services and Visual Studio Mobile Center. I would like to stop here for some time and shortly discuss each methodology option. 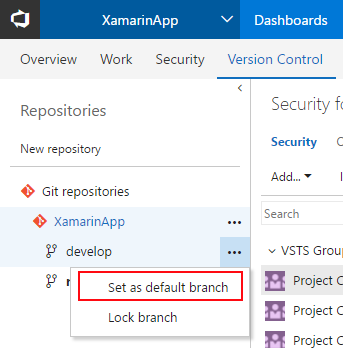 You can read more on the official VSTS documentation website. 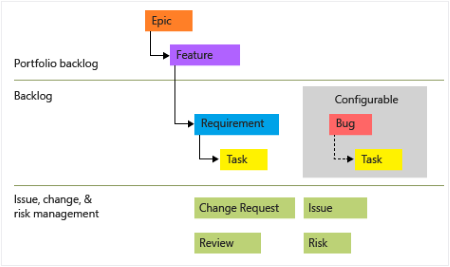 In this example select GIT for “Version control” and Scrum as a “Work item process”. 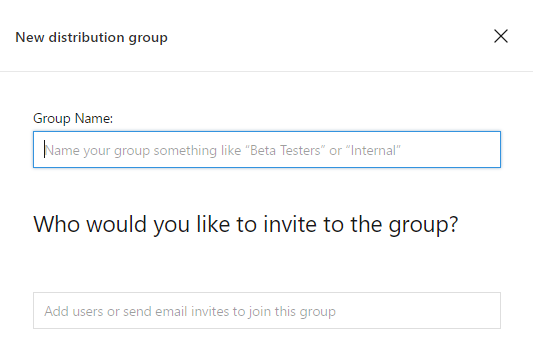 Click “Create” button. This is the place where you can plan work for you and other developers to deliver high quality app. You should know that working with Scrum requires Sprints (so time units when developers implementing selected functionalities). 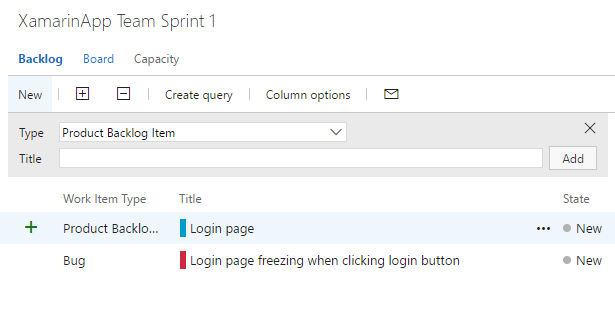 That is why on the left side you see “Sprint 1”, “Sprint 2″… You can set start date and end date for each Sprint. Acceptance Criteria – short description when selected PBI is considered as done. There are some other fields (I left them empty for now). 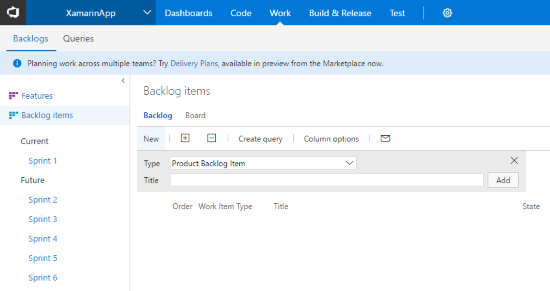 Great – now you know how to start configuring your backlog. As you can see our repository is empty now. We need to do initial commit to move code here. Let’s do it. 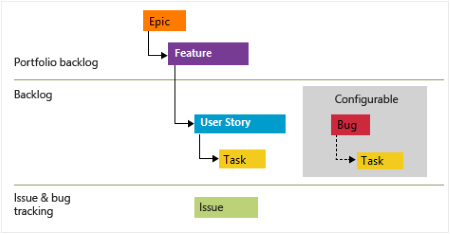 Pase path where you would like to clone you repository. 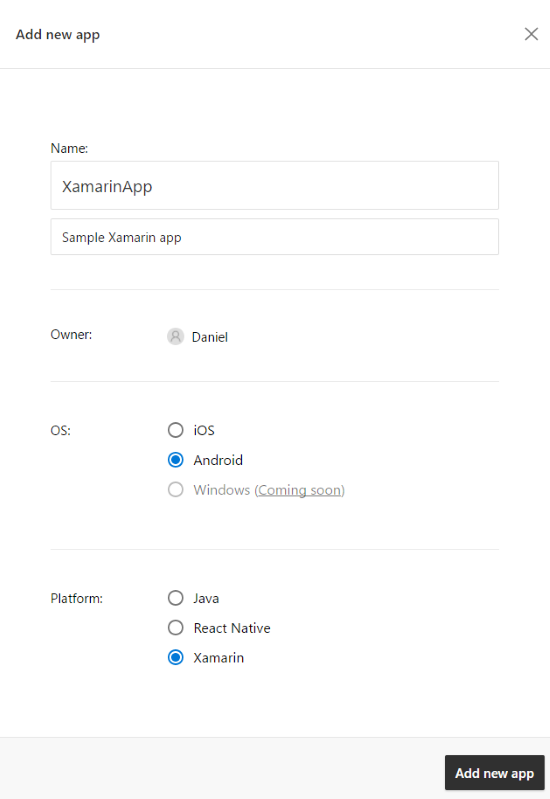 Once you do it we are ready to add some Xamarin application project. 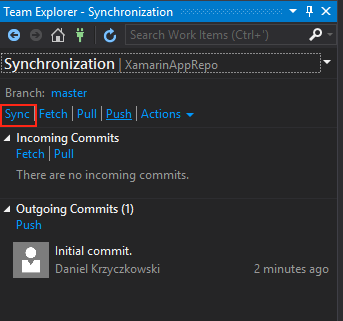 Now it is time to do our first commit and move code from the disc to VSTS GIT repository. 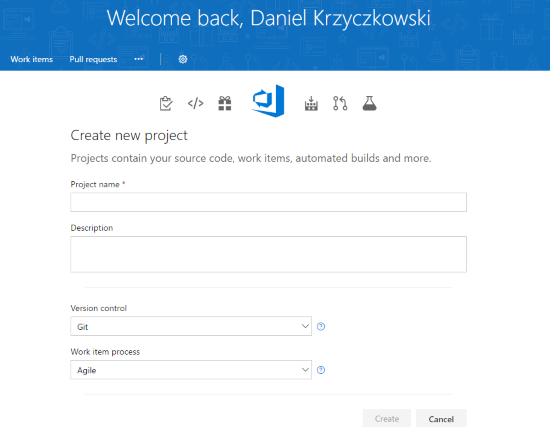 Now open VSTS “Code” tab again. 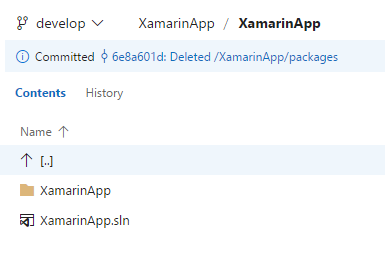 You should see that whole code it here! 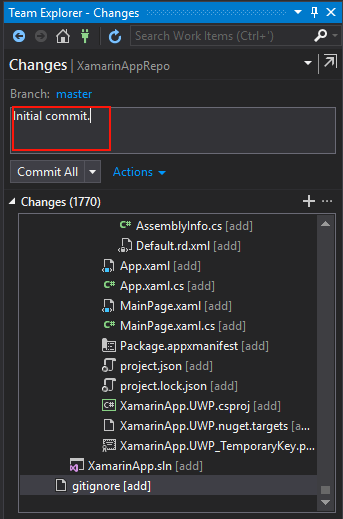 There is also good practice to create “develop” branch and commit code there. Done. 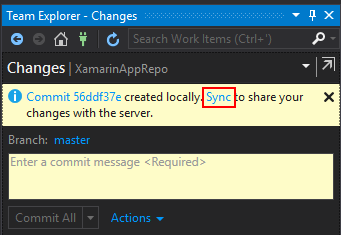 Now you have your backlog and repository configured! 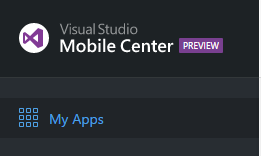 It is time to integrate with Visual Studio Mobile Center. 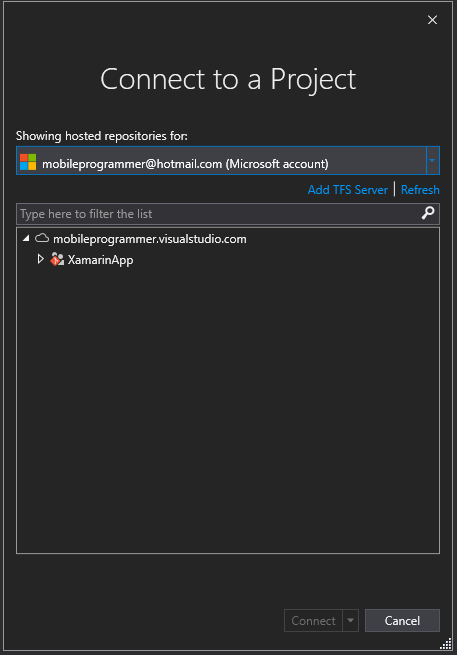 Sign in to Visual Studio Mobile Center here. 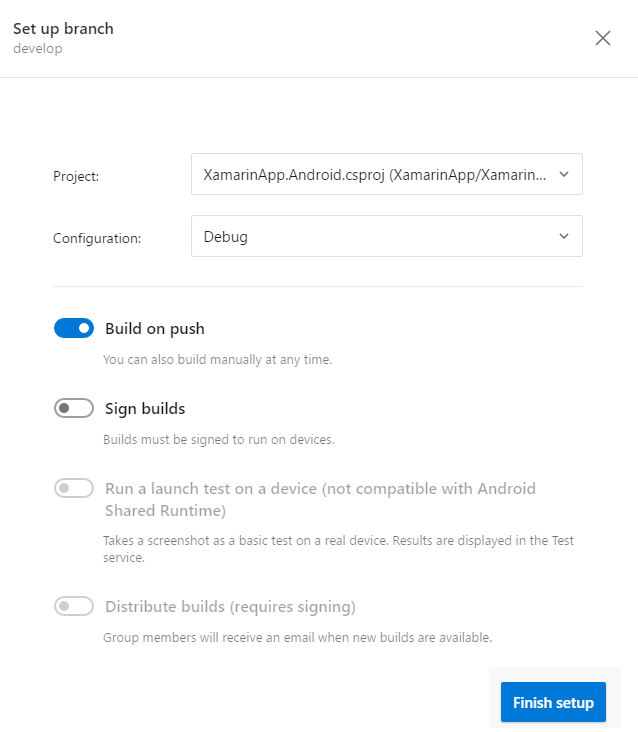 This is great place where you can configure automatic builds, tests and distribution for your Xamarin apps. 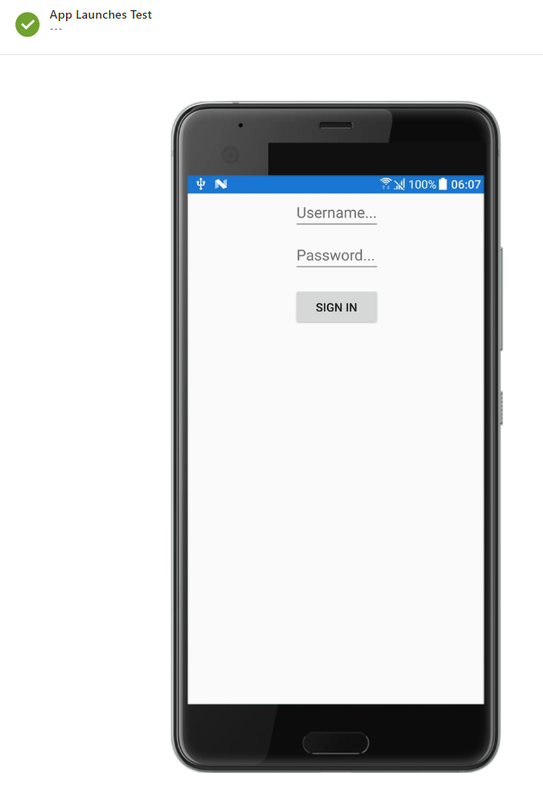 In this sample I will configure Android app. 8. 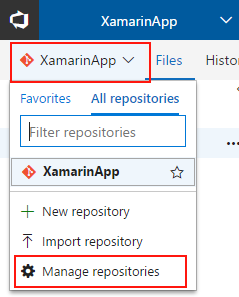 As you can see Mobile Center automatically selected Android app project from repository. 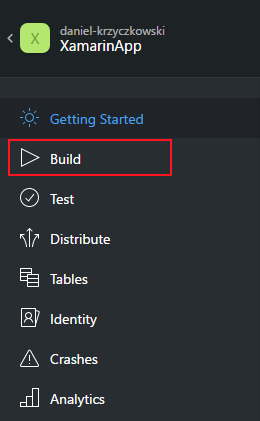 Now you know how to configure automatic builds. But what about releases? 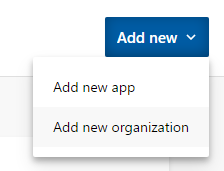 If you commit some important changes you would like to send the new version of your app to testers. 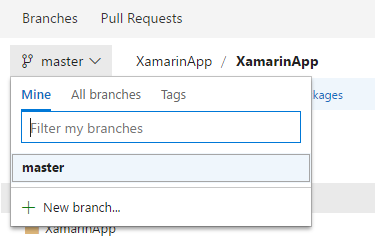 It is also possible with VS Mobile Center. Let’s see how to do it. You can open this message on Android device and install an app. The same process is for iOS applications. 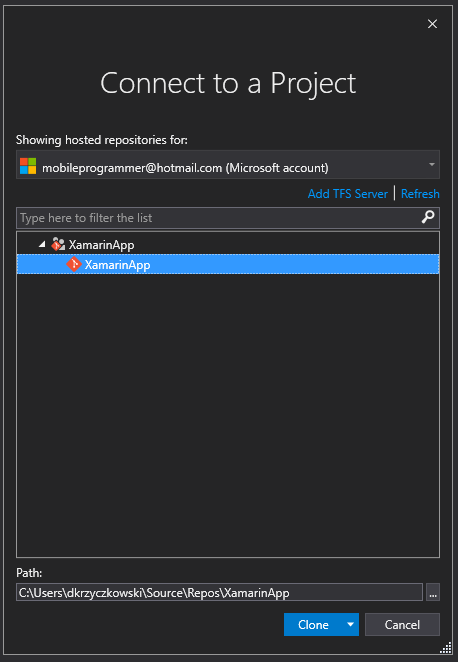 You can set different distributions lists for your mobile applications. 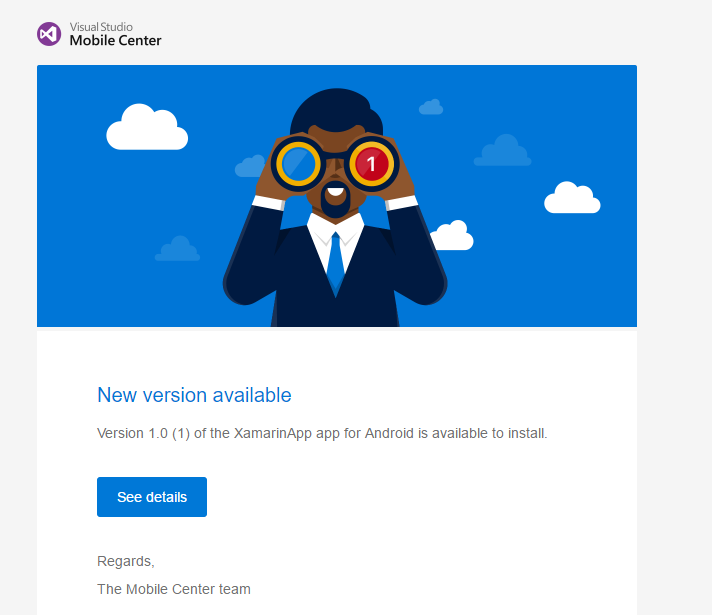 As you can see there is only one tester – it is your Mobile Center account. That’s it! 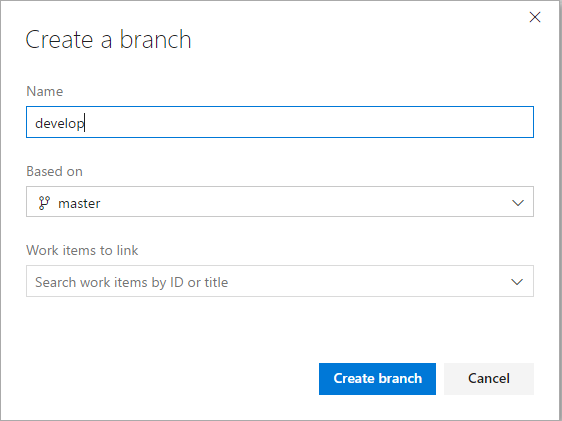 There is more in Mobile Center – you can collect information about crashes of your app or just some analytics data to see how users use your app. 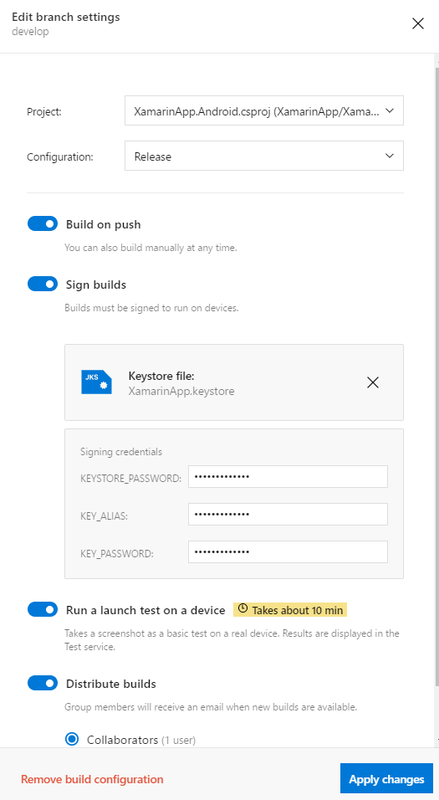 You have to add SDK to your app that will automatically connect with Mobile Center – this will not be described in this post. 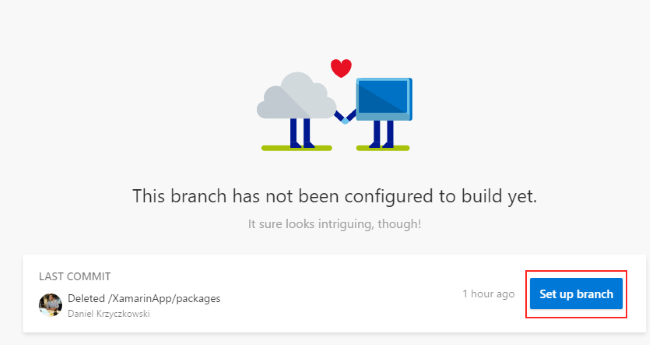 I know that topic connected with DevOps and Continuous Integration is huge but I just wanted to make it easier for you to start. 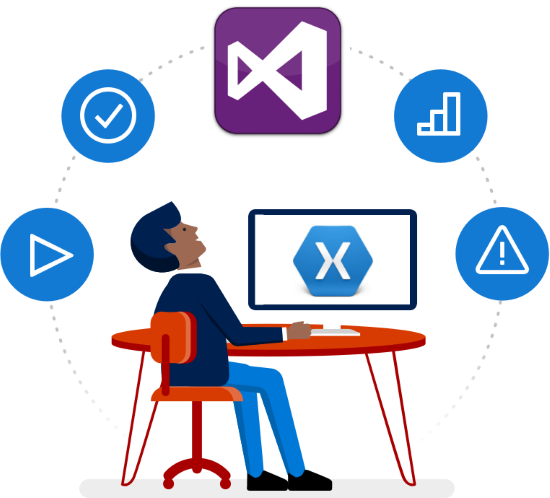 With Visual Studio Team Services and Visual Studio Mobile Center tools it is much more easier to configure everything. It is worth to spend some time especially when you want to manage your apps efficiently. Try do it yourself and good luck!